As a fan of theme parks, roller coasters, and Dolly Parton, loving Dollywood comes naturally for me. 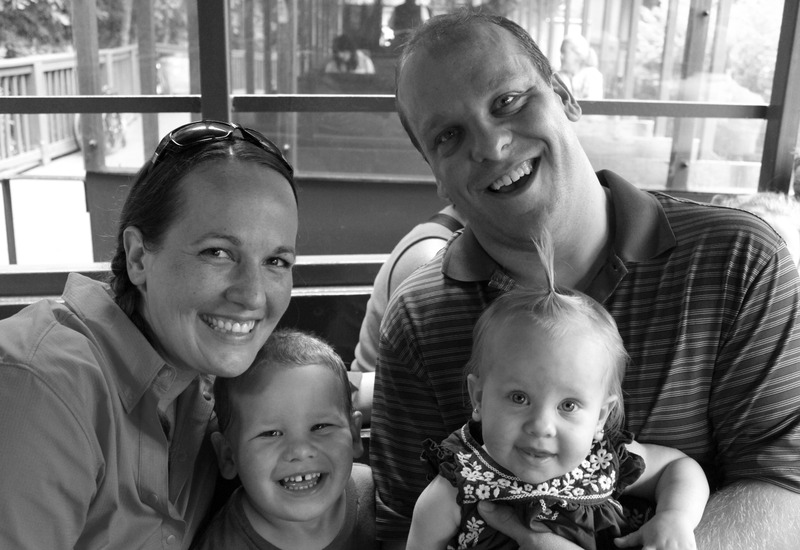 I was thrilled to have the opportunity to take my family to the park on our recent trip to the Smoky Mountains. I received free tickets to the park to facilitate this review, but all opinions are my own. I love Dollywood because it is family friendly, family focused, and has a little something for everyone. Read on to find out how our trip went with two toddlers and how to enter to win a trip to Dollywood for your family. Can you take small children to a theme park and have a great day? Yes, absolutely. I don’t know about every theme park, but it is possible at Dollywood. We took the Bear to the centralized measuring station to get a bracelet telling us which rides he could do, and it was so helpful. He could ride all of the kiddie rides, and he loved it. The Pearl Girl got to ride the carousel and the Dollywood Express and she had a blast. For the big coasters and thrill rides, parents can ride swap so all the adults get to ride. The Dollywood Express was our favorite part of the day. 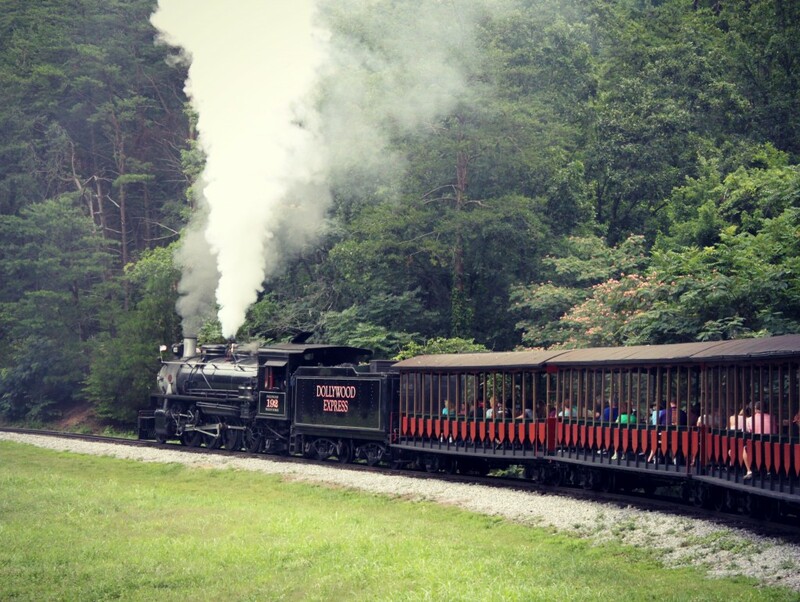 The train departs the station at scheduled times, and returns to the same spot after taking a scenic route through the park and the surrounding mountains. Our whole family loved the train ride, especially Bear. Check the schedule when you arrive at the park to make sure you are able to time it right to ride the train. The daily schedule also contains information about all of the shows happening throughout the park. All of the shows are included in your admission price, as well as the rides. For the littlest guests, Dollywood has nursing and changing stations around the park. There are also two fabulous playgrounds and a fun splash pad that my little early walker could conquer. The park is very stroller friendly, so it was easy to take her around. I loved letting her run free on the playgrounds. 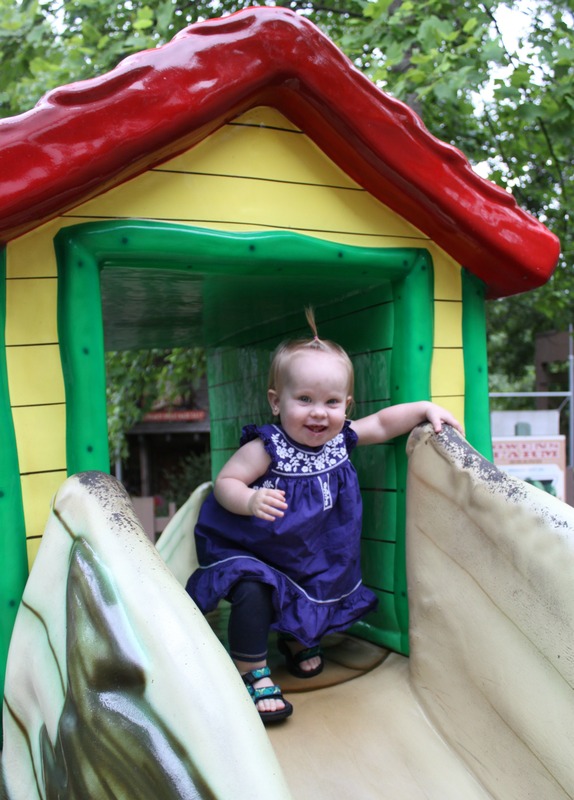 She could climb and slide safely and had so much fun. I’m a little bit of a coaster fanatic, so it was a dream come true to take Bear on his first roller coaster at Dollywood. It was the perfect size for him and we loved the experience. It was a mama moment I’ll never forget. Jed doesn’t like thrill rides, so there will be lots more of this in the future for the kids and me. I can’t wait! Besides rides and shows and fantastic food, Dollywood also has the Chasing Rainbows Museum dedicated to the career of Dolly Parton. I love her eternally, and her costumes and life story are well worth the visit. You can also see a replica of the tiny mountain cabin where she grew up with her family. I love that she brought Dollywood back to her hometown to be an economic boost to the area. It really is a fabulous park for families and folks of all ages. When you plan your visit, be sure to follow Dollywood on Facebook, Twitter, and Instagram to hear about the latest deals and events. If you’d like to win a Smoky Mountain Getaway for your family, head over to this post to win a family vacation complete with a cabin at Hidden Mountain Resort, a family pass to the Titanic Museum, and four tickets to Dollywood. Follow Becca’s board Family Travel on Pinterest. It looks like you guys had a great time! I remember going when I was a kid! I kept looking for Dolly Parton! Great review! This looks like a fun place to visit,I had never heard of this place before. I would love to bring my 4 grandsons,it looks like a great place to enjoy with the kids..
My mom went to Dollywood when she was younger and told me how amazing this was! It looks like such a family-friendly park! I would love to go someday! Oh this looks amazing. Visiting Dollywood is on my bucketlist. Can’t wait to take the family! That looks like a lot of fun. I would love to do that with my family, especially my 4 year old son. We just went week before last, too. Sideshow Spin was my 5 yo first coaster – he rode it 3 times. I even got him on Blazin’ Fury. Firechaser was a last second bail-out for him, but we had a great time! WE followed it up with Splash Country the next day. It was great fun! My parents took the kiddos to the Gazillion Bubbles show so my sister and I could hit the Wild Eagle and Mystery Mine. WOW!! Oh my, my daughter would love this. She is 3 and has been wanting to ride in a train since she could speak. I’ve never heard of Dollywood before but I would love to go. It looks like so much fun! It’s always good to know that you can take the little ones and they will be happy. I guess you will be too! Good to know that Dollywood is super family friendly and a great spot for the little ones! Looks like fun and my boys would enjoy it. Hope to visit one day! Dollywood is a such a fantastic place for both kids and grownups. It looks like you had a wonderful time! I hope to take my family there one day! I haven’t been to Dollywood since I was a child but want to take my 4 year old sometime soon. It looks like a lot of fun! WE’VE BEEN THINKING ABOUT VISITING DOLLYWOOD! LOOKS LIKE A TON OF FUN! Love the review! It’s always nice to hear another mommy discuss how much fun it can be to take your children on vacations! I would love to take my little guy to Dollywood!! I really would love to go to dollywood! I love Dollywood, such a beautiful park and perfect for families. Has change from the park it used to be before Dolly Parton took over. aghh that looks like so much fun. All your kids look so happy & joyful. My son would have a blast! We went to Pigeon Forge last year but Dollywood was closed at the time. The area was beautiful. I have never been to Dollywood, but hopefully that can be rectified soon. Before your review I had no idea just how great a place it is for small children. I have a two year old Grandson who would LOVE it there. Thank you for the review and pictures. It looks like your kids had a ball! I would love to win the trip to Dollywood! Thank you for all of the tips! I remember visiting Dollywood with my family when I was young and would love to share the same memories with my own family sometime soon! Such fun! My husband visited Dollywood as a child but I’ve never been. I know my kids (and me!) would love to ride the Dollywood Express! The kids would love going here! My husband keeps telling the kids about going up to the mountains so we have been wanting to take a vacation at a place like this! it is perfect. We live in NC so we aren’t to far! I will have to show him these places. Looks like you and your family had an awesome time!! Hope we get the opportunity to go, and have as much fun as you did. Dollywood is a great family park. Looks like you had an awesome time!! I love the picture of you and your son on the ride. I haven’t been to Dollywood yet because there is just so much to do in the Smokies, but I hope go to someday. It looks like a ton of fun! I’ve always wanted to go. Thanks for all the info! I would love to take our boys. My 2.5 year old would go NUTS over the train. Too cool! I only live 3 hours away from here and I want to visit so badly! My family would have a blast! My daughter would love the Dolly Express. What a family friendly place to go! This looks sooo much fun! I can’t wait to go! As much time as I have spent in those mountains over the years, I have never gotten to visit Dollywood. Would love to be able to take the grandkids! The 3D movie where you take part of is so much fun. We went about 6 years ago and it was so much fun. This looks like it would be the best vacation ever for a family. I would love it all, best if Dolly Pardon came around. Love it all. Grethe at review, I have not been to Dollywood want to go and be able to see everything especially the Dolly Parton chasing rainbow museam. My step-daughter and her daddy LOVE roller coasters!! I can be talked into it, but it takes time. Looks like so much fun, shouldn’t taken them too long to talk me into these! Can’t wait to have as mu cheaper fun with my family as you’ve had with yours! Such fun!!! Haven’t been in years, thanks for the review. This looks like such a fun day! I adore Dolly Parton on every level — she’s so genuine and so funny, and coming back to her community is exactly what I’d expect from her. Thanks for the chance! I have always wanted to go to Dollywood! That would be my most favorite thing to do seriously! I love Dolly Parton and I have seriously wanted to visit any of her locations. I lived in Myrtle Beach and they had a Dollywood theater show for a year or so, but it changed and I never made it while it was Dollly Show. So sad! I hope to win this fabulous prize so that i can take my daughter! She would love it! I like how the whole area is very family-friendly. Aww it looks like you had a wonderful time and made some memories. I’ve always wanted to go to Dollyworld. I’m a big Dolly Parton fan, as well as just a lover of everything Country and Tennessee. Just the variety of things to do there is amazing. I’ve always wanted to visit dollywood, but never been able to! Looks like a ton of fun! Dollywood seems like so much fun! Looks like your family had a trip to always remember! Looks like your family had a trip to always remember! I love the little play house with the slide. My daughter would have so much fun on that. How nice that they made the park stroller friendly. Awwe! This is a great review! Looks like you guys had a blast! I have a 3 year old little boy so this is very reassuring that he would have a blast! Gosh it looks amazing!! So much fun. Love Dolly Parton! That train ride looks like so much fun- we went there years ago and it wasn’t there. It looks like you guys had a great time at Dollywood! My favorite thing about the park is the craftsman/artisan booths – always something unique to see. I’ve been researching amusement parks to see if all my children would enjoy them. Thanks for sharing your vacation with us. Just saw the train in your pics– so cute! Looks like so much fun! i’ve ALWAYS wanted to visit dollywood! i’ve visited asheville a lot and always wanted to make the drive, but never did. glad you all had so much fun!! The train looks really fun! I’ve been a Dolly fan since I was little. I’ve wanted to go to Dollywood but didn’t think I could get my husband or son to go. However, after reading this post, I think I can definitely tempt them into going with the promise of roller coasters. A win for everyone! I have not yet been to Dollywood…this year that may change! Looks neat. I would love to visit the Chasing Rainbows Museum. I’ve always loved Dolly. She’s so funny. I once heard her say that she gets up at like 3 or 4 am to put her make-up on because it takes hours. I love how honest she is. I’ve never been to Dollywood, but have heard about it of years. We have Dolly Parton’s Dixie Stampede here close to us in Branson, MO. I love that they even make sure about the smallest children with changing stations located everywhere. Looks like a lot of fun! i’ve never been to Dollywood, but I’d love to check it out sometime. The changing/nursing stations is a great touch. Can’t wait to have fun with my family!! I’ve always wondered if Dolly Parton herself makes appearances at Dollywood. Love Dollywood! Such fun for grownups and kids! I have great memories from our time there! I love that the park is themed towards families. I know my grandkids would enjoy themselves especially the train ride. I travel a lot for work, and in all my travels I’ve never made it to Dollywood! Great review. I hope to get there. I love roller coasters too! I haven’t ridden one in awhile though. My daughter is now 3 and she has never ridden one. I’m hoping to take her to a park soon so she can experience the thrill! This looks like a fun roller coaster for kids! Soi cute that he got to go on his first roller coaster! How fun. I have ALWAYS wanted to go to Dollywood! I feel like it is a right of passage for Southern folks! It looks like a ton of fun for kids AND adults. I hope to go someday! I think my little guy might be ready for his first kiddie roller coaster ride too! We skipped Dollywood when my husband & I went a couple years ago…Hoping to go back and spend a day at Dollywood. And with our son, this post convinces us to give it a try! Dollywood sounds like a wonderful place to take the whole family,I wasn’t sure what was there but I had heard of it,it helps seeing pictures of it,my kids would love the train,my son especially loves them! And I would enjoy the museum about Dolly,her story is so interesting to me and I want to see the cabin she grew up in. The view there is so beautiful! My husband said it reminds him of the Alps. Dollywood is great for the whole family, young and old. We have been once before and had a blast. My son, who is 19 yrs old does not care to go back because he hates roller coasters. There is so much more to do and see then just roller coasters. 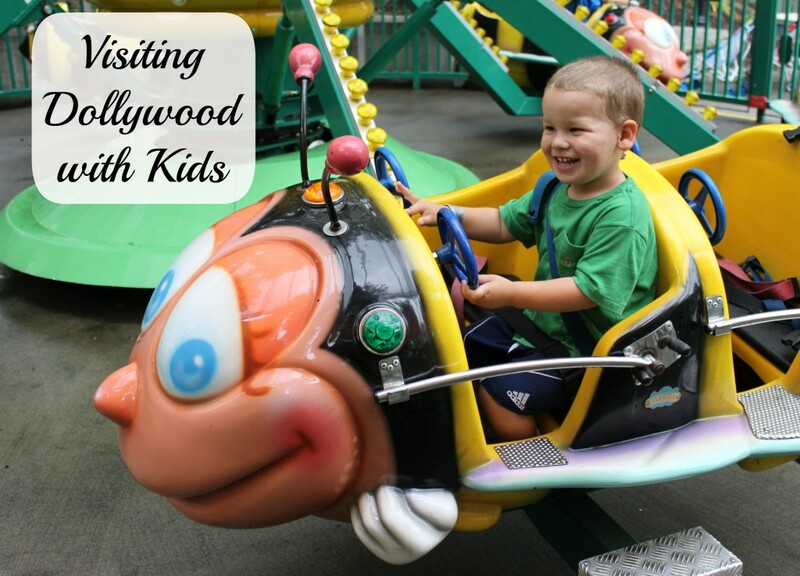 Dollywood looks like so much fun for little kids! I can’t wait to take my family next time – I did completely different things than you on the trip so it’s nice to have a reason to go back! Looks like you guys had such a good time on the rides! Wow! That sounds like a great time! Would LOVE to visit! Such a great family vacation! Thank you for sharing! I like that there are rides for small children. I hope to visit Dollywood again. I went when my kids were younger and had a blast! I think I would love to go to Dolly’s museum also -sounds so interesting. The Dolly Museum sounds fun! She’s had such a long career. Your family looked like you all had a great time at Dollywood. There is so much that a family can do at Dollywood that it would take days to do and see it all.My kids love to ride all the kiddie rides.It’s been a long time since we have got to go there,but hope to go again soon. DollyWood is an amazing place for all ages. There r rides and shows for everyone. I do hear people saying bad things about DollyWood because there r not a lot of “thrill rides” but thats what makes this park wonderful. It has something for EVERYONE.. That is a problem with a lot of parks, u go and lil ones cant ride anything and how is that fun. There r shows for the older folks that dont want to just ride rides all day. But I think one of the best parts of the park is the employees. U dont have a bunch of young, smart a– punks running around being rude. I have never been and had a bad experience with the people that work there. I love DollyWood and hope again soon to start back getting the season pass.. Thanks for the chance to visit!!! Happy vacations are some of life’s finest memory makers. It appears you all made some wonderful memories in a beautiful place. Those train rides are great fun for all ages. WOULD LOVE TO WIN THE GETAWAY.NEVER BEEN TO DOLLYWOOD..WOULD BE AMAZINF TRIP FOR THIS 63 YEAR OLD .. I have very fond memories of Dollywood as a kid and would love to share that with my child. From what I’ve seen, Dollywood looks like an upgraded version of Holiday World, a theme park we have here in Indiana. It looks like a lot of fun! You and your family looked like you had a great time at Dollywood. I would love to visit the mountains again and go to Dollywood with my family too. I love Dollywood. Ms. Dolly Pardon has made sure that her values have been carried over into her park. I love that she made sure to open this in her growing up area to help give the area an economic boost. She is such a sweetheart. Genuine though and though. It has been SO LONG since we have been there. We have never stayed over. We live 4 or so hours away so when we went we did a day trip. IT was hard but it was fun! From your pics it looks like your fam had a blast. It is great that Dollywood offers something for all age groups. Your children sure did have happy big smiles ! I am sure the memories made will last a life time! My family has been visiting Dollywood for as long as I can remember. Growing up, my parents would take my sister and me, and now my husband and I are looking forward to taking our daughter. I’m older now and really don’t care much for the thrill rides so it looks like there is something for everyone at Dollywood. P.S. As the kids were growing up we split the thrill rides -I gave him the bad ones! I had no idea Dollywood had so many rides. Our daughters are young but love roller coasters. This looks like a great place to visit. I’ve been wanting to visit Dollywood. Sounds like it’s lots of fun! It seems like a great family vacation! I’ve always love the carousel. Last time we were at an amusement park, I took my daughter to ride it. She wasn’t quite 3 at the time so I stood beside her but as soon as it started going up and down, she wanted nothing to do with it! I ended up holding her while standing until the ride was over. She’s 3 now and I think we will try again. I’m betting next time she will love it. My husband and I visited Dollywood on our honeymoon in 2002 and had a blast! I would love to go back with our little girls! I would love to take my grandson with me to come here -after reading your review I know he would love it! Looks like it really has a lot to offer the entire family! Can’t wait for our family to visit Dollywood in September!! Looks like an awesome time was had by all! You have beautiful children! We visit Pigeon Forge/Gatlinburg a couple times a year and still haven’t made it to Dollywood…that’s about to change! It’s on my list of things we MUST do the next time we go! Dollywood is such a great place to visit with children. I have so many great memories from there as a child. And their lemonade is the BEST! what a wonderful place for a family vacation. there is something for everyone to enjoy, no matter what age you are. I just love the mountains. Dollywood is not to very far from us. Dollywood is a wholesome family oriented place to relax , play & enjoy each other. We have never been to Dollywood but I would love to go their someday my husband love Dolly Parton and has always hoped to go their and maybe be lucky enough to see her their. It looks like you guys had fun and thanks for sharing your time there. What a great place to make some special memories with the Grandparents! We have been to Dollywood a couple times and absolutely love it! Love the Smoky Mountains. Have visited Pigeon Forge area many times, but never made it to Dollywood. So would love to win this giveaway and be able to go back and take my grandchildren. I know they would love Dollywood as much as I would! I have been going to Dollywood with the family since 1995! We love it! Looks like you had lots of fun! We’ve always loved Dollywood. Until a couple of years ago, we kept season passes (if you go twice in a year’s time, you’ve saved money.) We haven’t been in a while. I really miss it!! I have a friend who’s family would go to Dollywood every summer when she was growing up. They really loved it. DollyWood is one of my favorite amusements!! A lot of people bash it because every ride is not a “THRILL” ride, but that’s whats great about DollyWood. There is something for everyone, young to old. One of the best parts for me is the FRIENDLY employees, everyone is so nice. we have use to get season passes & we miss going. We havent been able to go in a few yrs & hope we will be able to next yr. A great place for your family!!! This looks like such a fun family vacation! My son would just love to ride on that train! We haven’t done anything like this with our youngest son. He would love this. He will be 4 in August. My husband and I visited DollyWood as part of our honeymoon 6 years ago but we would love to visit again and bring our 2 year old daughter, i know she would love it! Love the laid back atmosphere at Dollywood. The rides were fun. Loved seeing the Bald Eagles too. This looks like so much fun. I haven’t ridden a roller coaster since before my daughter was born! She is 3 so over 4 years ago. I need to change that! We’ve been to Gatlinburg, but not Dollywood. The bracelet idea sounds great! Very helpful! Also, my kids would love the train for sure!! I love that all the shows are included in the price of admission! What a good deal…they are fun to watch and listen to. I really think that Dollywood gives you more bang for your buck. They have shows and rides and trains and and and… I just love Dolly Pardon. She is so sweet. Such a great gal to make sure her area that she is from got a place to get jobs. The bracelet telling you what rides you can do is very helpful. I think my whole family would enjoy riding on that carousel. I was telling my family about Dollywood last night and the Smokey Mountain getaway. They all have their fingers crossed. My kids were most excited about going to Dollywood. We haven’t been to a theme park in a very long time. What a wonderful chance to win. Thank you very much. Dollywood looks like a lot of fun! I haven’t visited there before, but I’ve heard a lot about it. As a mom of a tween and a preschooler, I love when vacation options have fun for all of us! The train looks like a blast. It looks like you guys had a great time! The family pictures are great memories to cherish. Dollywood is a fun place to go. We have been there a few times. Many fun things to do for young and old alike. Many memories to be made. Thanks for the review. Dollywood has really helped the people of TN. She is quite the blessing! The smiles in these pics says it all. Each of you are beaming! I truly need a vaca like this. Though doesn’t everyone? Oh this absolutely looks likes so much fun. I have got to go here and take my grandson. This would be the trip of a lifetime. I’m glad that it’s such a kid-friendly place. My family would really enjoy a visit there. The rides look really fun! I was reading a book yesterday and they were listing off several large parks like Disney,etc and they mentioned Dollywood. I thought that was funny since I hadn’t heard of it until now. I’ll probably hear it all the time now. Must be a pretty big park? I would love to visit Dollywood again. Believe or not we visited not too long after they first opened. It would be neat to see all these improvements! I am pretty positive you all had a blast! It is hard to take toddlers to theme parks but many parks, Dollywood in particular, want you to visit so they make it as easy as they can for you. I love family friendly parks. Fun to be had by all ages. It’s very important that the park is stroller friendly. I love that no matter what age you are you are entertained at this park. So nice for the older generation as well! I too am the one who rides the thrill rides with the kids. My hubbie had a bad experience when he was young. He got stuck on the Blue racer @ Kings Island. So he will not do the thrill type rides . I do not mind a bit. It is a Mom moment when it is just you and them laughing and screaming together. We’d love to visit Dollywood! This really looks like so much fun. My whole family loves parks. I could see us spending a huge amount of time at Dolly Wood! What a great family friendly vacation! I’ve loved Dolly Parton for more than 40 years and I’ve been wanting to visit Dollywood. It looks like your kids had a lot of fun. My kids are older now and I hope to bring them soon. Hopefully, someday I’ll get to bring my grandsons, too. What a happy looking family! Looks like you had lots of fun! Looks like Dollywood is very well kept. So pretty and that take great care. I think the lure of Dollywood is there is something there for all ages to enjoy. I will say it again the smiles on the faces in your pics says it all! I really like that this place has both rides and museums. It looks like great fun! I would love to take my kids to Dollywood. I vacationed several times with my family in Tennessee when I was a kid, and I loved it! One of the best parks to visit with ur family. Attractions for all ages. Loads of family memories!! I have never been to Dollywood and I didn’t realize that it had more than just shows and rides! What a great time at Dollywood for the whole family! If I take everyone down to the grandkids, do you offer group rates? Hey Karen! Dollywood does offer group rates. Head over to their site and check out all their ticketing info. I just love the replica of the tiny cabin she grew up in. Such a wonderful all American story. Rags to riches. So sweet that she gives back to the area she was raised in. I would love to visit Dolly’s museum -she is seems like such a sweet person. She loves where she came from! I think our whole family would enjoy all the rides. We LOVE Dollywood! It’s perfect for families and one of the few theme parks that has plenty for even the littlest members of the family 🙂 We can’t wait to try the FireChaser Express! I really want to ride (and take my daughters) on the Dollywood Express! The landscape looks stunning! Pigeon Forge is so picturesque. We wish we could go back! I commented on 8/6 but the comment never showed up. I contacted Akismet customer support and I think they were sending my comments to spam yesterday. I’ve never been to Tennessee, but if I ever go there I will have to check this out! I love to go to the Sevierville/Pigeon Forge area when we go to TN. It would be so fun to visit Dollywood again! What I love most about this park is that it is family friendly and focused around the family. I would expect nothing less from Dolly! I’ve heard that Dollywood is really festive in December, decorated for Christmastime. This looks so so fun, my daughter would have an absolute BLAST! I really like that the cater to small children and adults too. They have a great website. I would love to ride the FIRECHASER EXPRESS. I don’t know if I could get my kids to ride it though! It would be so great to take the whole family to Dollywood. We would all be satisfied! would have never thought it would look like so much fun! Some of my family has been to dollywood years ago but I havent had the chance to go! The review is helpful as it gives a good mix between kid friendly activities and still includes things for those of us who may not have them yet! You family is so beautiful . I just love seeing the happy faces. Dollywood really does go out of their way to ensure guest of every age have a good time. Dollywood is one of the best parks to go to . I haven’t been to Dollywood since I was a kid. Would love to take my own kids sometime. I think my whole family would really enjoy this place! I love that there are playgrounds for toddlers. We love Dollywood! We especially love visiting at Christmas time when the park is all lit up. That whole area is so nice and fun – Pigeon Forge and Gaitlinburg both have a lot to offer. Dollywood is such a great attraction there. One of the big perks of DollyWood is that the shows are all included in the price of the ticket as wells as the rides. It really is made to be affordable. You get more bang for your buck. One more to add to my “bucket list”. Would love to see Dollywood again! your kids are having so much fun! We have never been to Dollywood but I’m sure my kids would have a blast! 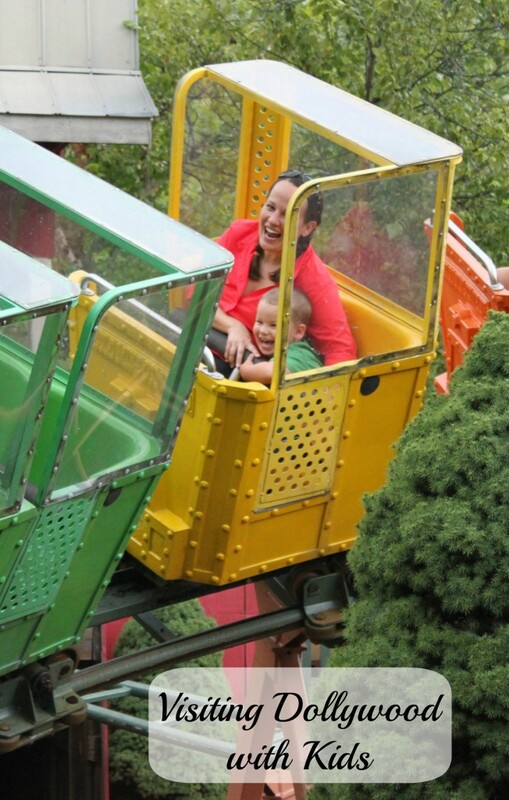 My kids gave never been on a train ride so the train would be a must for us to do! We live about an hour and half from Dollywood and we love it! The rides are fun and the shows are great! I would just love to see the replica cabin that Dolly grew up in. That would be one of the things I would look most forward to! I have often wondered how often Dolly goes to the park and preforms. I am pretty sure she does a Christmas show there. For me it would be far too cold to enjoy the park in winter. Fall would be the best for us. I am so tickled to see your family had such a wonderful time. My kids would enjoy this park. That train would be really fun for our whole family! i’d love to visit that museum, i love me some Dolly! Getting too old to ride roller coasters so it’s so good to know there are other entertainment choices at dollywood. The centralized measuring station is an awesome helpful thing! Makes it handy to know right off the bat what your child can and can not ride. Helps head off disappointment. By the looks and smiles on you and your families faces I know you all had a wonderful time.I agree that Dollywood has something for everyone to do.One of my families favorite rides at Dollywood is the river rampage,and we ride it whenever we get to go. I’ve never ridden on a roller coaster before, but this looks like a great place to do it! My Kids would love to visit Dollywood! The picture of the train is really great! It should be on a postcard or something! I’ve always wanted to visit Tennessee. This gives me even more of a reason to go. It looks like so much fun! I love that you can get your kids measured ahead of time and get the bracelet. Saves so much time and disappointment of waiting in line only to find they are too short. It would be great to take the whole family to Dollywood -grandparents and all! We would enjoy watching the kids have fun on the roller coasters and kids rides! I would love to spend a good bit of time poking around in the Chasing Rainbows Museum . Dolly really is an all American story of rags to riches. Hard work and dedication and talent paying off. The amusement park does have something for everyone. Our family could use a vacation! I don’t think I’ve ever ridden a carousel in my life. To do it with my son would be great! Ever since I started reading these posts and entering the giveaway, I’ve been thinking more and more about visiting Tennessee. We have never really traveled and it looks like there is tons to do there. A quick stop by Nashville sounds kinda fun too! Thanks for a great review, it was such a delight seeing all your smiling faces. That really showed how much you enjoyed yourself. This is a great park, I hear they have added a lot of additions. I would so love to visit there. We have seen Pigeon Forge and you can see the fireworks they set off every night around 8pm every night. I want to take my Granddaughter I know she would love it. She needs to go to the mountains; they usually go to the beach. I love coming by daily and seeing the happy smiling faces of your family on vacation. Dollyworrd really is the best spot for families. It really is a laid back family friendly place. It would be great to be able to go to Dollywood with the whole family! Of course now we have young people again in the family so it’s fun to watch them on the rides like your children. Family vacation memories are precious. I really like how colorful all the rides and attractions are! Looks like great memories where made at Dollywood by your family. So neat! I know my Granddaughter would love this so much! This place reminds me of Centreville in Toronto! I have so many fond childhood memories of it and it looks like your little one made some that day too! Very neat place! Old fashioned carousels are fun! This would be such a fun place to visit with the whole family! Now that our kids are older, we are hoping to make a visit to Dollywood. My husband and I have been there without them and had so much fun. I’m looking forward to taking a family vacation to the area . The carousel looks so nice- I actually love riding on one still! Would love to make my own memories like yours with my Grandkids! These are beautiful pictures of your family. Love all the smiling faces. It is a great tip to tell everyone to follow Dollywood on their social media links so you can get the latest deals. They are ever changing from month to month season to season. This would be a great trip to take with the kids and grandparents. This looks like a really fun place! we have been to Dollywood a couple times and always have a blast. Would love to visit there again soon! Looks like you all had a great time! We love Dollywood. Such a family friendly park with things for every age! I think the train ride would be my first stop….looks so fun! This looks so fin! We went by there one year and didnt have time to stop. The review is great if we go by again, we are for sure making time for it. My oldest son loves amusement park rides! You have such a happy looking family and it looks like you really enjoyed this trip! The Chasing Rainbows Museum sounds like a lot of fun. I would love to learn more about Dolly’s life and experiences. I bet it’s been interesting! It’s been awhile since I have been to Dollywood. But when we would go I loved going on the Train ride. We went to Dollywood a couple of weeks ago! We loved it! The train ride was awesome! Would love to go to Dollywood again- such a great park for everyone to enjoy! I , like your family, would think the Dollywood express would be the best of the best . I just love a train ride! So relaxing! 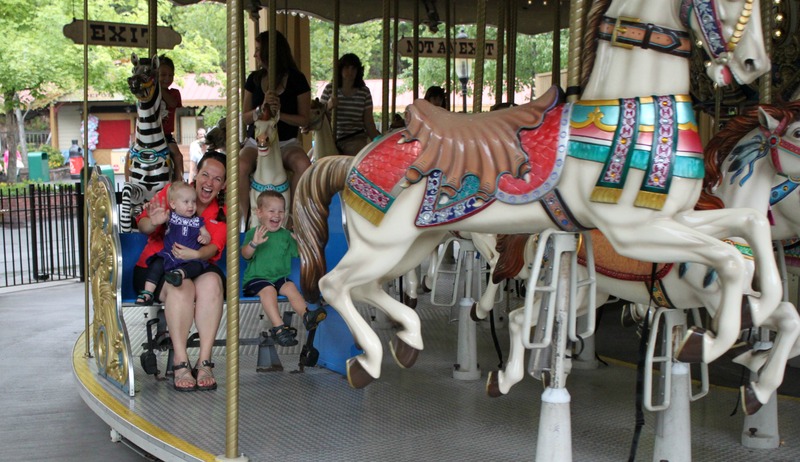 Dollywood truly is a family friendly park with a little something for every age! It looks like theere is so much to do and to see ere. Something for everyone! I knew that Dollywood was family-friendly, but I didn’t know just how much! Now I can’t wait to get down there someday! The carousel looks like great fun! I love Dollywood, I have been once and would love to return there. my daughter would love those kid friendly roller coasters! My son would be super excited to ride that really fun train! I’ve never been to Dollyworld, but it looks like y’all had a blast!!! People that we know have been and have talked about what a good time they had, so we may have to visit! I think my daughter would really love watching all the shows. This is such a wonderful article! I can not tell you how many times I have re-read it. I wondered about the great food that you mentioned. I wondered what your favorite thing was that ya got to try. I recall there being some good old mountain food being offered. Pinto Beans (we call them soup beans) and cornbread. I too just love thrill rides. My hubbie not so much. It was always myself & our children riding the roller coasters . While my dearest hubbie took the pics of us whizzing past upside down & sideways. Now we have grands and I still am the one to get on the rides with them. I think it perfectly fine that I want to ride the thrill rides in my middle age. I am not dead yet! BTW Ya’all only 2 days left to enter this wonderful drawing! The rides for the little ones look so cute! I bet they were very tired children that evening! Such a great place to visit. I have heard such great things about Dollywood- that it is fun and a great family vacation. It looks so fantastic! I’ve never been to Dollywood but would love to! it looks very family friendly and fun! Never have ridden a train either, so that would be fun. I have always loved Dolly’s music…I will always love you Dolly. LOL. Dollywood is a great place to visit! It’s fun for everyone in the family! Wow! Looks like such a fun place to visit. My family would love it!!!!! It looks like a fun place to visit. i love that photo of you and your kiddos on the carousel, so cute! We visited Dollywood, and I have to say, they have the friendliest staff of any park we’ve been to! I am so glad to read another positive review for DollyWood. I love DollyWood because of the rides but mostly because of the atmosphere. It is a VERY FAMILY Friendly environment. U dont have a bunch of young punks running around & they are not the operators of the rides. The park has rides for everyone, if u want a thrill there r rides to make that happy or if u want a slow laid back ride u can get that also. I just love DollyWood because I now I can take my family & have a great day with no issues.. This really sounds like a great deal for the whole family! I still think that the measuring booth with the wrist band letting you know which ride your child is allowed to ride is the best idea ever. That way if there is a ride you baby wants to ride but can not due to being too little. It is easier for the child to understand that it is the rules of the park not because Mom & Dad are trying to say no. I would spend a bunch of my time on the train as I have said in my previous post. Dollywood has natural beauty and a real family feel. I love Dolly Pardon. She is an all American gal who does give back to the world and her roots. God Bless her. I sure hope we are able to visit Dollywood this fall. I think the Dollywood Express would be our favorite too. Nothing like a train ride and that one looks like it has beautiful views. I would love to take the kids here it looks fun with plenty to do. There seems to be things going on all of the time and also t could be an adventure! This would be a place the whole family could go to. We have little grandkids all the way to 14, and our own kids would get a kick out of this too! We’re all just a lil’ but country. Appreciate the simple country fun stuff. You looked like you had a blast. I was very pregnant the last time we went to The “pokey” mountains as my biggest called it. We wouldn’t have been able to enjoy Dollywood. But I definitely think we could now! What a blessing it would be to win a trip to Dollywood! i hope one day we get a chance to visit dollywood. What a wonderful review. I like that they have bracelets that will help you know which rides your kids are big enough for. When I was little I wanted to be Dolly Parton when I grew up. Now that I’m an adult, that hasn’t changed. I still hope to be her when i grow up. I am also determined to pass on my love of all things Dolly to my daughter. What better way to introduce her than a trip to Dollywood? I’ve never been myself but after reading this review, I think a mommy and me trip is in order. I would really like to visit Tennessee, so I will have to put this on my list of things to do. The Dollywood website is also really neat. Looks like they have a lot of things going on there. Their site mentioned the NATL SOUTHERN GOSPEL & HARVEST CELEBRATION. That sounds really cool. So does the FIRECHASER EXPRESS! I had not really thought about seeing all of Dolly’s costumes on display! I bet you could spend an entire day looking at those! Dollywood really is a place for families of all ages ! Thanks so much for the chance to win this is my last comment the end of the contest. I have had fun entering and looking at your pictures. Dollywood is a great place to visit! I have never been to Tennessee but it is on my bucket list. I would love to take my family for a week. We have visited Dollywood many times but haven’t taken our daughter yet. I think she would love the kiddie rides! I love the music shows and the bird show is awesome!